“The R2 project list must first and foremost ensure geographic equity across our region; there are 88 cities in Los Angeles County, not just one. Taxpayers across the County will be asked to pay an additional half-cent sales tax and in return, they should all see benefits. Promises were made to taxpayers eight years ago when voters approved Measure R. Now, some of those commitments are being pushed down the road. We must not allow high-profile projects to leapfrog rail and highway improvements that can be made in all areas of the County. Supervisor Knabe issued the following statement: “I am not at all surprised at the City of Ontario’s desire to get back control of its airport. We have seen significant reductions in passenger traffic at Ontario, which cannot all be explained away by the economy. LAWA has not shown a good faith effort to regionalization, which would benefit all of Southern California. With today’s approval, a letter confirming support for this key action to regionalize air travel will be sent to the Mayors of the Cities of Los Angeles and Ontario, Los Angeles World Airports, and other affected agencies. A report on airport regionalization from the County’s Chief Executive Office will be discussed at the May 14, 2013 Board of Supervisors meeting. Knabe, along with fellow Supervisor Mark Ridley-Thomas, requested the CEO report in a motion passed unanimously by the Board of Supervisors on February 26, 2013. The Metrolink Board of Directors authorized the agency to enter into a contract to secure Tier 4 locomotives at its Dec. 14, 2012, meeting. The revolutionary locomotives are expected to reduce emissions by 86 percent. At this point, Metrolink is on pace to become the first in the country to achieve Tier 4 status in revenue service. The procurement of the locomotives and the contract with Electro-Motive Diesel (EMD) is contingent upon the securing of project funds, while Friday’s Board decision is the latest step of a lengthy process. The first three demonstration locomotives are scheduled to be complete in the fall of 2015. The locomotive upgrades will have system wide benefits and help reduce emissions in the surrounding communities. In addition, these locomotives will have greater horsepower that can increase capacity by adding more train cars to a set. The phased-approach contract includes a base order of 10 locomotives, plus an option to purchase up to 10 additional locomotives. Metrolink has allocated $129.4 million for the purchase of the locomotives. The overall program will allow Metrolink to eventually secure 20 new Tier 4 locomotives. The Board’s decision also committed Metrolink to the testing of alternative fuel sources in future operations. Metrolink will make the first locomotives replaced by the new Tier 4s available to the South Coast Air Quality Management District for the purposes of experimentation with various alternative fuel technologies expected to be commercially available in the next decade. These technologies include, but are not limited to, liquefied natural gas (LNG) and battery technology. Metrolink will continue to work collaboratively with its funding partners in this pursuit. At today’s Metro board meeting, Los Angeles County Supervisor Don Knabe called for a detailed strategy and plan to complete a transit connection to LAX by 2020. The Green Line extension to LAX/Airport Metro Connector is currently projected for completion in 2028. Knabe’s motion, approved 7-5, asked for the Metro CEO to report back with a plan, including exploring funding alternatives with Los Angeles World Airport (LAWA); local, state and federal partners, and public-private partnerships. 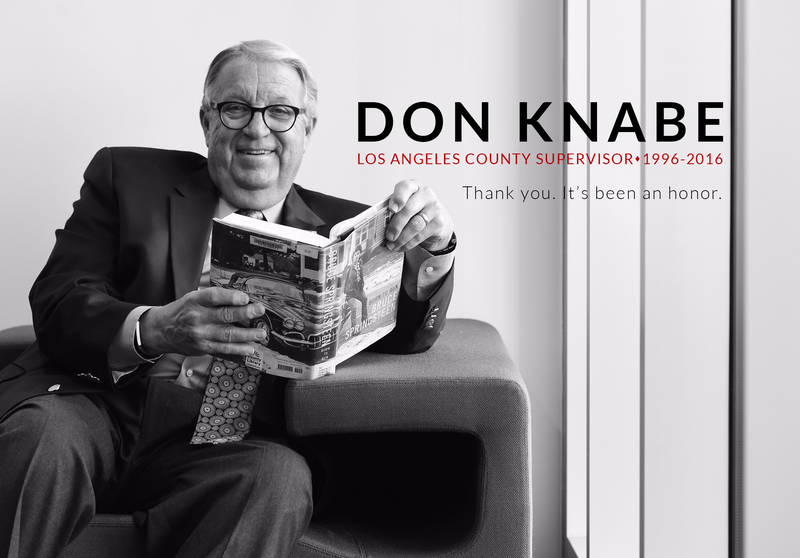 Knabe also requested a timeline and required actions, including an advocacy approach for coordination with federal agencies like the FAA and FTA. Metro is scheduled to report back at the January 24, 2013 board meeting. The Space Shuttle Endeavour heads to its new home at the California Science Center this Saturday, Oct. 13. The quickest and easiest way to view the shuttle on its final journey is to hop on the Metro Expo Line to Expo Park, the only mass viewing area where the shuttle will linger for an extended transition period. Those who wish to see Endeavour should gather at about 8 p.m. on Saturday along Bill Robertson Lane. Expo Park is conveniently served by two Metro Rail stations: Expo/Vermont and Expo Park/USC. Bus service in the areas along the shuttle route will experience disruptions during the Endeavour trip. Service detours are planned along Manchester Boulevard on Friday night and Crenshaw Boulevard and Martin Luther King Jr. Boulevard on Saturday. For the most up –to-date service alerts visit metro.net and look under Service Advisories, follow @metroLAalerts on Twitter or check Metro’s official blog, The Source. The Los Angeles Police Department is asking the public not to gather along the shuttle route, due to traffic and safety concerns. No cars will be allowed into Expo Park and road closures surrounding the shuttle route are expected to cause traffic issues. Metro will be running enahanced service on Metro Rail on Saturday, Oct. 13 to accommodate shuttle visitors. Expo Line will run at 6 minute headways from 2 p.m. to 11 p.m.
Red, Purple and Gold Line trains will run with extra train cars at 10 minute headways from 2 p.m. to 11 p.m. The demolition of the north side of Mulholland Dr Bridge has been scheduled for Saturday, September 29 and Sunday, September 30, 2012. As with the demolition of the south side of the 608-foot-long bridge, the I-405 through the Sepulveda Pass will be closed in both directions that weekend to allow for demolition. To reduce the impacts on local traffic flow, the Mulholland Dr Bridge will be demolished and reconstructed in two separate phases. During July 16 and 17, 2011, the south side of Mulholland Dr Bridge was demolished. The north side of the bridge is expected to be completed 12 months after demolition. During reconstruction, the Mulholland Dr Bridge will accommodate one lane of traffic in each direction. The Mulholland Dr Bridge will be the third bridge demolished and reconstructed to accommodate the widening of the I-405 freeway and to add a northbound high-occupancy vehicle lane through the Sepulveda Pass. When completed, the expanded Mulholland Center Dr Bridge will be widened by approximately 10 feet and will be designed to the latest seismic standards. The I-405 project website will have the latest construction updates. “While the vision that is driving the current effort to make the Measure R sales tax permanent is well-intentioned, it is disingenuous to the voters to give a blank check to the MTA. The sales tax currently does not expire until 2039, so there is no reason to extend it unless we want to spend the next generation’s money today. Measure R was the MTA’s promise to the voters, in all 88 cities and the County of Los Angeles, that transit and highway projects would be delivered on time and within budget over 30 years. Now, only four years later, the MTA is looking to revise that promise because their financial assumptions underlying Measure R are not being realized as originally planned, and additional sources of funding are needed to deliver these same projects.